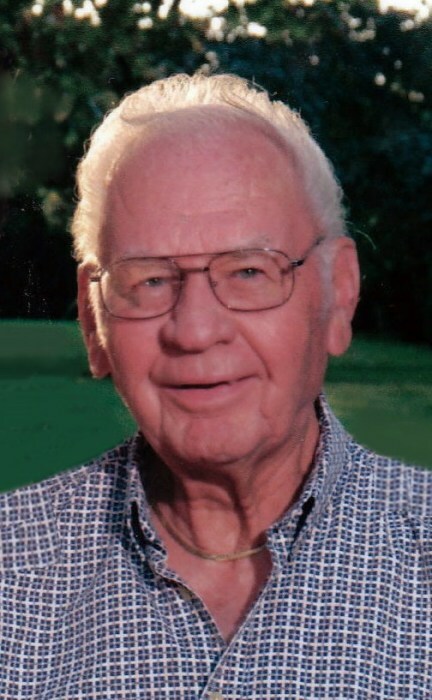 Leroy E. Middendorf, 97, of Quincy, passed away at 2:45 p.m. Thursday (September 6, 2018) in Good Samaritan Home. Born April 3, 1921 in Bluffs, Illinois, Leroy was the son of Louis and Norina Nortrup Middendorf. He married Betty M. Cramer on October 17, 1946 in Virginia, Illinois. She preceded him in death on April 25, 2015. Leroy was a member of Luther Memorial Church. He enjoyed traveling, boating, golfing, listening to country music and playing cards with his family and friends. He and Betty loved spending the winter months in Florida and were able to do that for more than 30 years. Leroy was an agent with Standard Oil in the Virginia, Illinois area for 20 years. He then moved to Quincy and was employed as a driver for F. S. Services for 18 years until his retirement. Leroy was proud that he was retired for 36 years and enjoyed every minute of it. Survivors include two children, Leann Flanagan (Michael) of Quincy and Royce Middendorf (Debbie) of Quincy; and a granddaughter, Laura E. Flanagan of New York, NY. Mr. Middendorf was preceded in death by his parents; his wife of 68 years, Betty; and three brothers, Milburn in infancy, Wilbur and Wendell. Funeral services will be held Tuesday morning at 11:00 in the Zehender Robinson Stormer Cookson Funeral Home with Pastor Tony Metz officiating. Burial will be in Greenmount Cemetery. Visitation will be Monday evening from 5:00 to 7:00 and Tuesday morning from 10:30 until the time of services at the funeral home. Memorials may be made to the Blessing Cancer Center or Luther Memorial Church.